The new L-Dens 7000 series – the new generation of Anton Paar’s process density sensors with a tube size of 6.3 mm (inner diameter) – is a result of more than 35 years of essential practical experience. 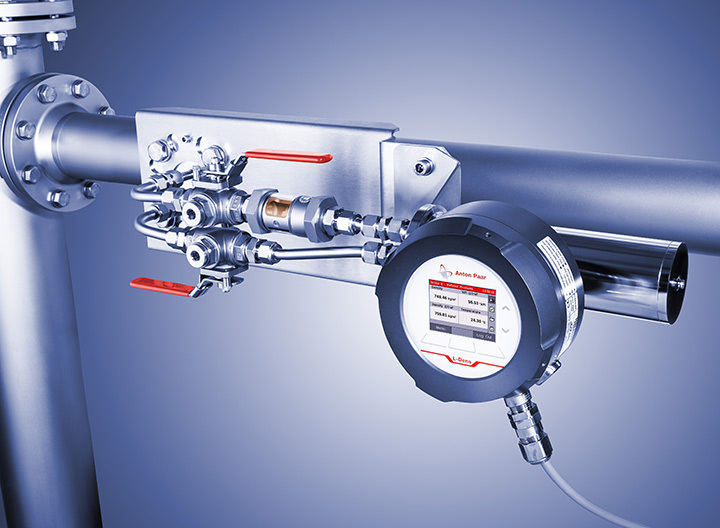 This all-in-one solution combines the highest accuracy, compact and robust design, and easy integration, which makes it best-in-class for precise concentration measurement. There are two types: 4-digit accuracy L-Dens 7400 and 5-digit accuracy L-Dens 7500. Density values are directly calculated by the sensor electronics. The design of the oscillating U-tube follows the requirements of hygienic applications. Both, L-Dens 7400 and L-Dens 7500, have one-piece oscillating tubes (L-Dens 7400: U-shaped tube; L-Dens 7500: W-shaped tube). The L-Dens 7000 series uses digital signal processing and can be equipped with the new Pico 3000 transmitter and Pico 3000 HMI. The L-Dens 7000 density sensor series measures with the highest precision and an outstanding accuracy of up to 5 x 10-5 g/cm³. 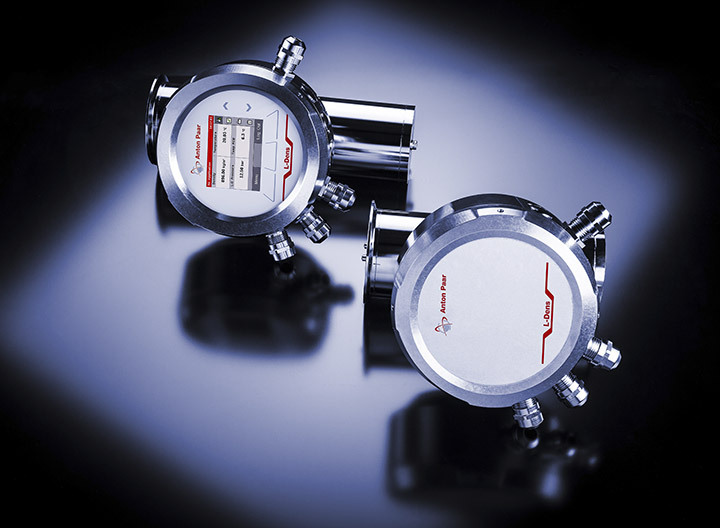 The highest accuracy in temperature and optional pressure measurement is the basis for compensating unstable process conditions. Thus, changing process and environmental conditions have a negligible effect on the measurement. This keeps the production flexible to react to market or consumer demands. The question of where and how an instrument can be integrated into a system is essential with regard to minimizing engineering efforts and costs. Being very compact und modular, sensors of the L-Dens 7000 series can even be mounted in the tightest spaces and meet the most demanding system requirements. The new generation of L-Dens 7000 density sensors comes with the new transmitter Pico 3000. You will benefit from the flexibility and modularity with respect to operation and data communication. The sensors work without time-consuming commissioning and on-site adjustments. Pre-configured in the factory, they come with the right sensor setup and application formulas. The L-Dens 7000 sensor series does not require any maintenance. You can install the sensor and simply rely on measurements with the highest accuracy for decades. CIP/SIP temperature and duration 145 °C for max. 30 min.